LeBron James returned after missing the past 17 games and while he needed to shake off some rust, the end result was the Los Angeles Lakers picking up a 123-120..
LeBron James returned after missing the past 17 games and while he needed to shake off some rust, the end result was the Los Angeles Lakers picking up a 123-120 win over the Clippers. As James was easing his way into the game, Brandon Ingram again helped carry the Lakers early. He was supported by Kyle Kuzma, who himself was playing after missing the two games prior because of a hip strain. The Lakers led by six points after the first quarter and were ahead during stretches of the second. However, a three-minute drought allowed the Clippers to pull ahead late. Rajon Rondo’s layup snapped the scoreless stretch, and the Lakers were ahead 54-53 at halftime. As James was quietly working toward a triple-double, Ingram led the Lakers with 11 points on 4-for-6 shooting through the first two quarters. The Lakers then began to take control in the third, with James, Ingram and Rajon Rondo all playing a key role. They stretched he lead to a game-high 14 points and were ahead by 12 heading into the fourth quarter. The Clippers picked up four fouls within the first minute yet still managed to get their deficit to single digits shortly after. Montrezl Harrell’s slam dunk got the Clippers to within six points but was accompanied by a costly technical foul. 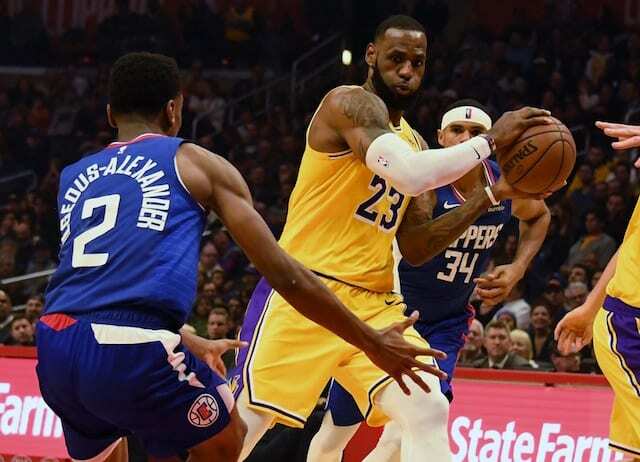 After making the free throw, James connected on a jump shot to help stabilize the Lakers. That was short-lived, with the Lakers collapsing on trip down the floor. Lou Williams fended off JaVale McGee for a layup and after missing the free throw, Boban Marjanovic had a put-back and completed the three-point play. 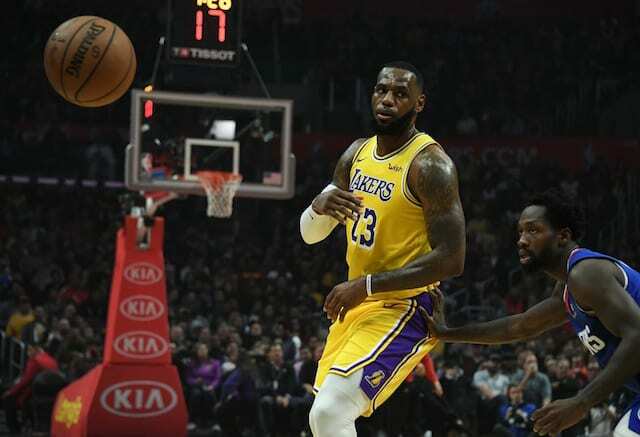 Lance Stephenson connected on multiple 3-pointers that helped the Lakers maintain a lead each time the Clippers threatened to pull even. They eventually managed to do so on a Tobias Harris 3-pointer with 35 seconds remaining that eventually sent the game into overtime. James and Rondo scored the first two baskets of overtime, only for the Lakers to squander another lead. Rather than a lob pass to McGee giving the Lakers a four-point lead, he missed and Lou Williams promptly connected on a pull-up jumper. James answered back with a go-ahead basket, which was followed by Stephenson’s three-point play that essentially iced the game for the Lakers.